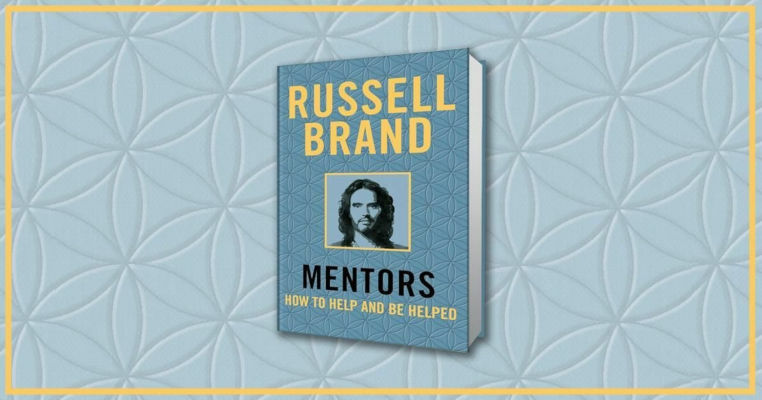 Mentors, the new book by Russell Brand – Could happiness lie in helping others and being open to accepting help yourself? Russell Brand has a new book coming in March! In Mentors: How to Help and Be Helped, he shares the stories of the significant people who have had a positive impact on his life. ‘I have mentors in every area of my life, as a comic, a dad, a recovering drug addict, a spiritual being and as a man who believes that we, as individuals and the great globe itself, are works in progress and that through a chain of mentorship we can improve individually and globally, together … One of the unexpected advantages my drug addiction granted is that the process of recovery that I practise includes a mentorship tradition.